Many people like to listen to music while they work, including surgeons. 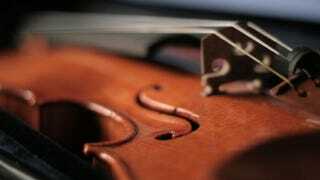 But a new study shows that, when classical music is played during minor surgery, patients recover sooner. In a study conducted at the John Radcliffe Hospital in Oxford, UK, 96 patients undergoing minor surgery were randomly assigned either music—either Mozart, Beethoven, Vivaldi or Bach—or silence. All of them were awake during the procedures, under local anesthetic. "Undergoing surgery can be a stressful experience for patients and finding ways of making them more comfortable should be our goal as clinicians. There are also good medical reasons – calmer patients may cope better with pain and recover quicker. This small scale work is the first time an attempt has been made to measure the impact music has in this specific group of patients and hints at the need for bigger multi-center research to establish whether this should become part of standard practice."